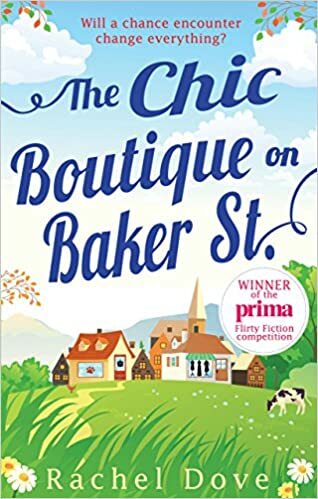 Today’s author in the spotlight is Rachel Dove whose novel The Chic Boutique on Baker Street is published by Mills & Boon today. You can order a copy here: Chic Boutique Happy publication day Rachel! Thank for joining me on the blog Rachel. First of all, would you tell me a little about yourself? I live in Yorkshire, born and bred and am a wife and mother to two human boys and two furbabies. I am a qualified adult ed teacher, and I am addicted to learning! I have always had a book in my hand, from when my parents read Ladybird books with me, and I have been telling stories since school. I feel compelled to write, as the characters in my head won’t leave me alone till I tell their tales. I have been reviewing books for a few years now, and writing short stories and books. I have self published several short stories and have a novella self published, which came out in 2013, called Crossing Life Lines. I have been submitting work for years, but never placed anywhere. I always got good feedback though, so I kept trying, and in January 2015, I saw the Flirty Fiction competition in Prima magazine, and I just knew I had to enter. I got an email some months later, telling me I made the final 10, and I was absolutely ecstatic. I never thought I would win, so when I heard the news that I had, I was overjoyed! Amanda Perry is a lawyer in London, and she is good at her job, but feels as though she is not quite living the life she wants. When work events occur, she finds herself out on her own, so she flees to a small village called Westfield to start her life over. There she meets Ben, the hunky village vet, and a few other colourful characters, and she starts to see how life could be. The question is, will she stay there, or stick with what she knows? I am working on a new book, which I am very excited about writing, but is top secret for now. The Longest Ride by Nicholas Sparks, I loved the story, and who isn’t a sucker for a cowboy? Wuthering Heights – my favourite book ever, and one I reread every year. Yes, yes and yes! I have a kindle Fire HD, and a reading app on my phone, and always have a paperback or two on the go. I read whenever and wherever I can, so I always make sure I have access to a book. I prefer it to television. I would like to say Lizzie Bennett from Pride and Prejudice, but I am far too outspoken for those times. 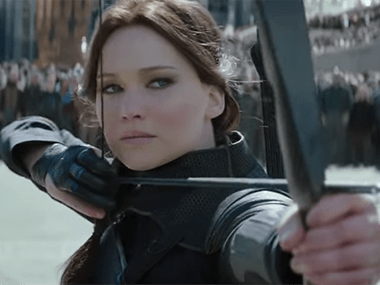 I would have to say Katniss Everdeen from the Hunger Games books, she is a fantastic female character – brave, fearless, but yet still vulnerable.